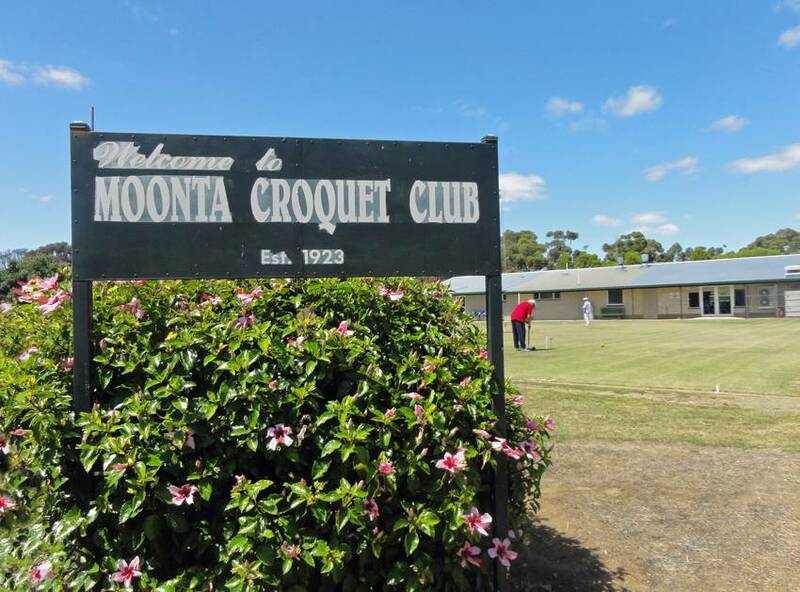 Moonta Memorial Croquet Club is situated on Military Road and is incorporated with the Moonta Bowling Club facility. Moonta is one of three major towns situated within the historic Copper Coast mining district of the Yorke Peninsula in South Australia, where Croquet has been played for the past 90 years, and is still going strong. The area is noted historically for its Cornish Festival (The Kernewek Lowender) which is held bi-annually. Visitors come from afar, including Cornwell. Clothing to reflect the era is worn by local players and this adds to the traditional historic aspect of the Festival. Moonta Croquet Club welcomes all visitors who may be in the area, holidaying etc., to use our facility. The Croquet Club presently has 22 members, including 14 Association Croquet players and 8 Aussie Croquet players. Our social play, known as ‘Night Larks,’ is held each Monday evening where Aussie Croquet is taught to new members and prospective new players. Wednesday, between October and April, is Association Croquet Pennant play. The competition is held between teams from within the wider area. Saturday morning is Pennant practice time. Kath Lamshed – President – Ph (08) 8825 2980.